I like conspiracy thrillers, but it is definitely an art to write them. The trick is to get the reader to believe – at least while they are reading – that this could happen in real life. Then it needs to be suspenseful, have gory details, plenty of cliffhangers, interesting characters and an intricately woven plot. I must say I am impressed; this is a really good conspiracy thriller. 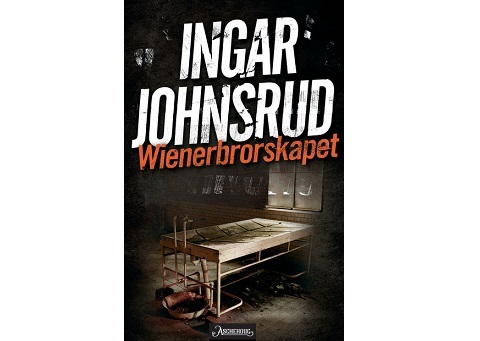 The Norwegian writer Ingar Johnsrud has done a really good job! A mass murder is discovered on a farm outside Oslo, where a Christian doomsday cult is located. Someone has shot and killed several of the men, but the rest of the men, women and children are missing. The mass murder gets extra media attention when they discover that among the missing people are the daughter and grandchild of a famous politician. The cult has been feuding with an Islamic group, which becomes a suspect, but is it really that simple? The theme is a political powder keg with cultural contradictions. When the story is connected to experiments in racial purity dating back to the 1930s it becomes even more interesting. The main character Superintendent Fredrik Beir is forced to cooperate with a new partner Kafa Iqbal.